How gorgeous is this little red dress? This short notice bodycon dress is pretty much the exact same as the stunning dress Kylie Jenner has been sharing all over Instagram recently! 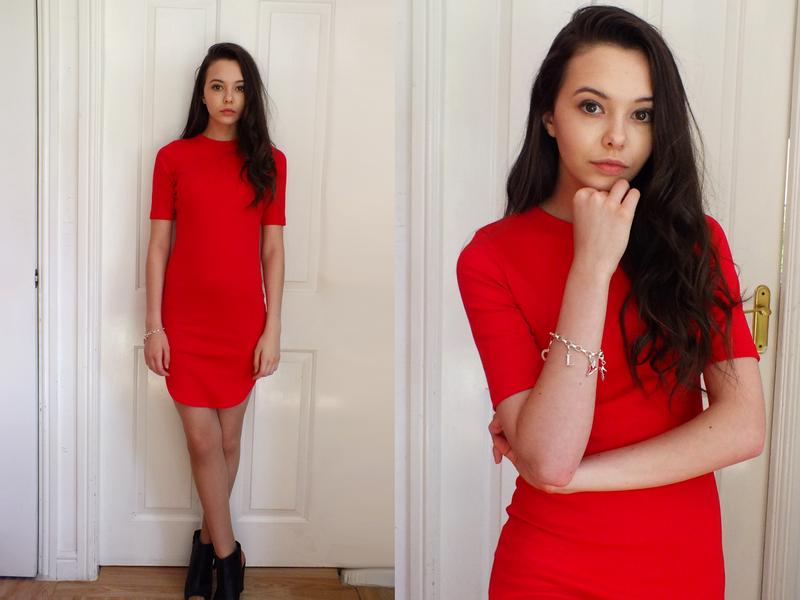 I decided to show you how I have styled this piece and where I have got everything from. Although Kylie Jenner sports a similar dress during the day, I don't think I could pull this off strolling around Manchester. Maybe in California. The piece is only £14.99!! Perfect for the summer parties I have coming up. The bodycon dress looks really flattering with the stylish curved hem to show off a bit of leg. The material is so soft, it kind of reminds me of the jersey fabric that is in Brandy Melville (if you've felt a top in there, you'll know what I mean). Overall, I love it and I can't wait to wear it out. Love this color and it gives such a great silhouette!